Ton Paans and Arti Shah manned the stand. Before the show, Arti commented “I’m looking forward to this opportunity to talk face to face with people from our industry about our comprehensive one-stop-shop for all sampling needs worldwide.”. ‘Our impression was that R&R is more globally focused than the UK shows. It feels like the right place as we have a huge global reach and a base in Amsterdam. Research & Results is the leading focal point of B2B networking for the market research industry in Europe.’ said Arti. Arti also mentioned, ‘R&R is well-known in the industry, where many people or businesses from across the globe exhibit or visit. We have a strong European element to Sample Answers and Ton has represented us here every year. As he is multilingual he connects with many individuals, speaking in German, Dutch etc. It’s important that we attend for global brand awareness purposes and to expand our knowledge of other businesses/competitors in the industry” . ‘The famous Sample Answers pens remained popular on the stand’ said Ton.“There was definitely an increase of interest in online sample and we felt that we were reaching the right people within UK and Europe. Many countries and market research specialists were represented, as well as the big brands. We attended the Research Club party – great fun and a good way to socialise. We’ll definitely be there next year.” commented Arti. “Only a relatively small share of the total attendance is the right target audience for Sample Answers, inevitable given our core business is telephone sampling. Similar to last year, offline is a small pond to fish in, but there remains an interest amongst many visitors. Online is very dominant, but there is an increased awareness of and potential interest in hybrid solution” stated Ton. on LinkedIn now. All the people we met who enquired about our products and services have received an email follow up. It was a great show and experience’ said Arti. “One of the best things about R&R is that the agencies, including large ones, still attend and exhibit – not the case at many other industry events. Research and Results show remains, in my opinion, the best MR trade show by far. Interesting to have seen it develop from a parochial German event years ago to a truly international show. 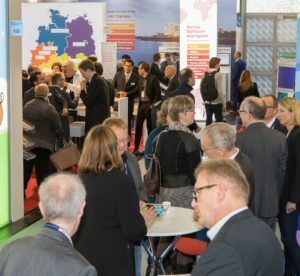 For me it is the pre-eminent trade show for the market research business in Europe, well liked and highly rated by everyone I have spoken to”. continued Ton. “We’ve already received some new enquiries, resulting in a worthwhile order. Overall, Research & Results was great for establishing new relationships and maintaining and reaffirming existing ones. In that respect, I have aways been happy with our attendance at R&R over the years”. This year, Ton Paans, Director of Sample Answers is heading up Stand number: 259-10 at Research & Results Show in Munich, along with Arti Shah, Client Services Manager. Ton set up the Amsterdam Office of Sample Answers in 2002 and looks after its non-UK European business from the company’s Amsterdam office. “I’m looking forward to this opportunity to talking face to face with people from our industry about our comprehensive one-stop-shop for all sampling needs worldwide. Today we are headquartered in the UK, with satellite offices in The Netherlands and the USA, so we should see a great many of our contacts at the show”. 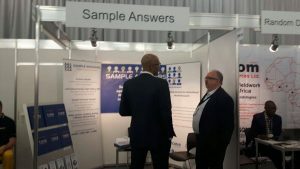 Sample Answers have been supplying sample and associated services to the Global Market Research Industry for over 20 years and are proud to take a prominent stand at this year’s premiere industry event – Research & Results. “Our aim is to provide a comprehensive Global sampling service for both consumer and business market research projects, offering consumer lifestyle and B2B data from a wide range of sources and our own world-wide RDD samples, including mobile” commented Sales Director Neil Whelpton. The MRG Golf Day is back on Thursday September the 7th. Come to Batchworth Park Golf Club in the rolling Hertfordshire Hills, show off your golfing skills and maybe win some prizes. We will play an 18 hole stableford competition, nearest the pin, longest drive and the coveted MRG Golf Trophy for the overall winner. Yes, Sample Answers Fantasy football is back! Spend that £100 million you keep in your back pocket! There will be prizes for team of the month and then overall 1st and 2nd. The monthly prize is £250 off your next order (within the next 3 months please). The overall prizes need to be claimed by start of the next football season. 1st prize £1,000 and 2nd prize £500. Once again Sample Answers organised this year’s MRS golf day in support of the Market Research Benevolent Fund and, once again, the evening raffle produced a remarkable £400 contribution to the fund. Thanks to all those providing the prizes and congratulations to all the players who so cheerfully emptied their pockets for the cause! The day began at 7.30 am with bacon sandwiches at Chobham Golf Club and the following 12 hours included the individual Stapleford competition, lunch of ham and eggs and then the Greensomes pairs competition – 36 holes of golf! All of which led to the evening entertainment of prize giving, beer and sandwiches, culminating in the successful prize draw raffle. Anyone who is reasonably proficient (with or without a handicap) is welcome. Unbiased RDD sample ready for you. Following Theresa May’s recent announcement of a general election to take place on June 8th 2017, we’re ready to provide the Market Research industry with all the sample you require to enable unbiased and representative telephone polling. Experience shows us that the best way to gain unbiased telephone samples is to use RDD (Random Digit Dial) numbers which are randomly generated. Here at Sample Answers, we have produced RDD for the Market Research industry for over two decades. Today, we offer more experience in producing dual frame RDD than any other sample provider. Check out RDD on our website now. To help you to make use of the most established statistically representative RDD samples, we’re introducing an ‘Election Special’, with discounted rates for all UK RDD sales right through until the end of June 2017. This will enable you to survey opinions in the most unbiased and representative way, both pre and post election. Unlike many other suppliers of RDD, here at Sample Answers, we make our RDD fresh for each new order rather than relying on pre-created stock which can be out of date. All of our seeds are current and our line verification is processed at the time of the order to make sure that your bespoke RDD order is as up to date as possible. You can expect next day delivery of any single country order. Or take a look at the flipbook version here. Just flip the pages and click to enlarge to read. We’ll be on Stand IA508 at The Insight Show, Olympia West on 8-9 March, 2017. Check out our stand on the floorplan below and pop by to have a chat. We’ll look forward to meeting you there.